1. Preheat oven to 350F. Line baking sheets with parchment paper. In a small bowl, stir together flour, baking soda, and baking powder. Set aside. 2. 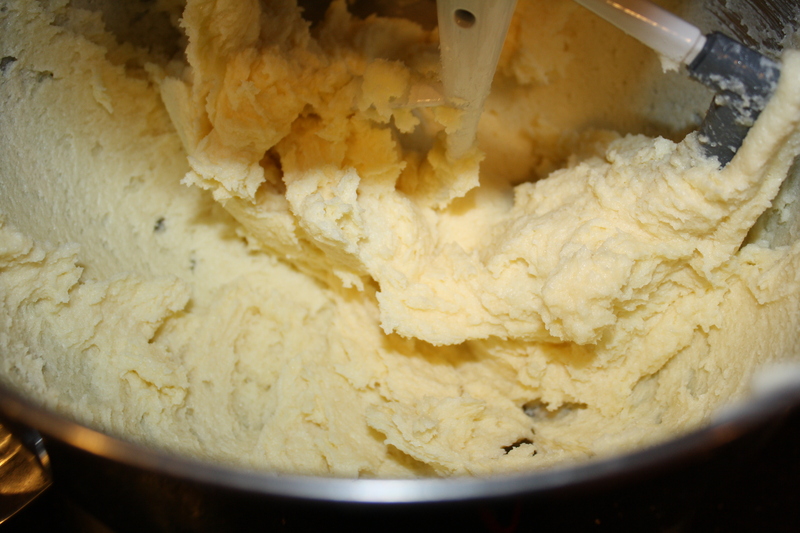 In a large bowl, cream together the butter and sugar until smooth. Beat in egg and vanilla. 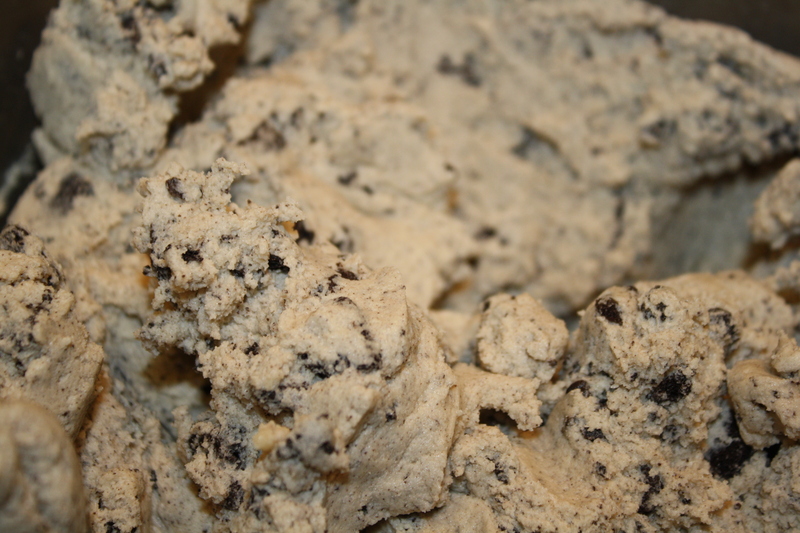 Gradually blend in the dry ingredients until dough is formed. 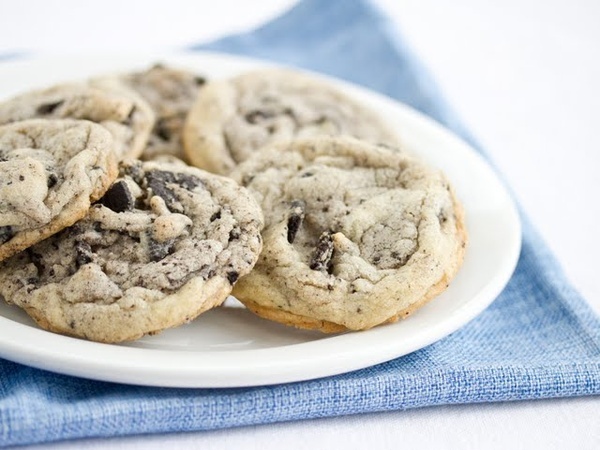 Add oreos directly into batter and beat on medium high speed until oreos are crushed and blended into dough. Roll dough into balls about 1 inch to 1 1/2 inch in diameter and place onto ungreased cookie sheets lined with parchment paper about 2 inches apart. 3. Bake about 11-12 minutes in the preheated oven, or until golden around the edges. 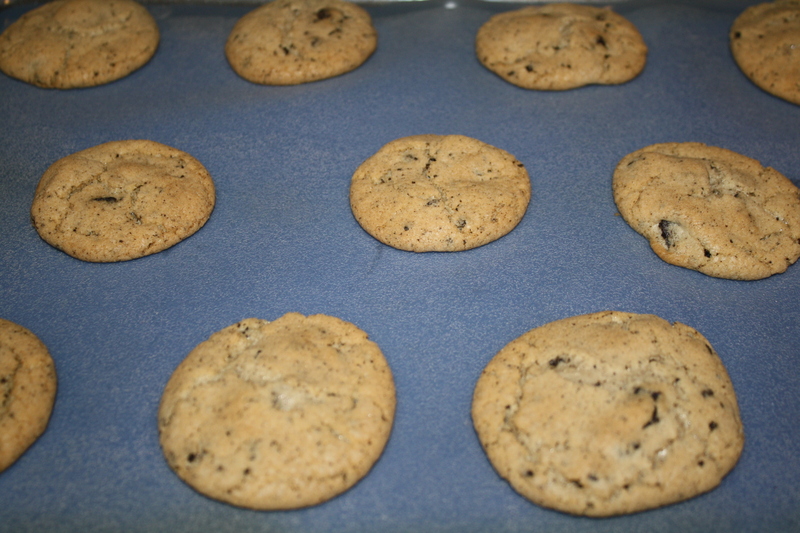 Cookies will be initially puffy when taken out from oven and will flatten after they cool. First, I creamed together the butter and sugar and took a photo that’s probably starting to look quite familiar to you by now. 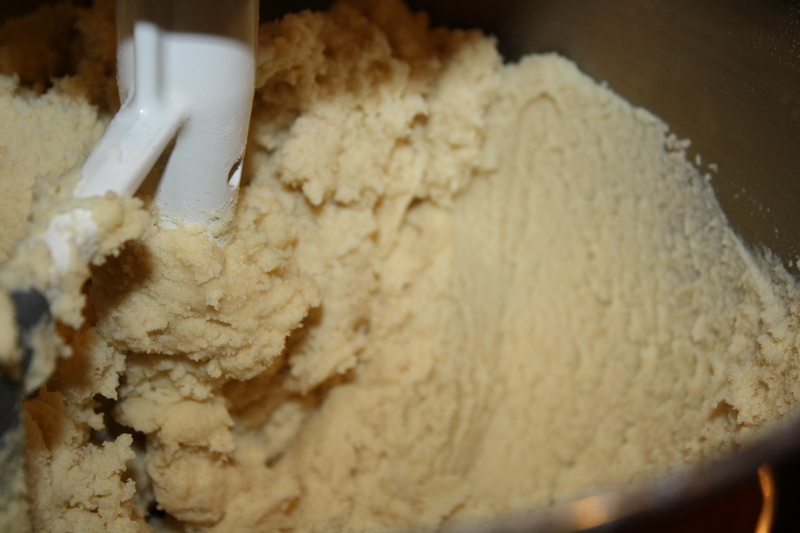 After adding the eggs and vanilla, I added the dry ingredients, which had been put together earlier in a separate bowl and beat them in the mixer until the batter was smooth. I wasn’t sure about putting in the Oreos, because I worried that by putting them in whole, they wouldn’t get evenly distributed, but my fears proved to be unfounded. Adding the cookies one at a time, they broke apart easily and dispersed uniformly. 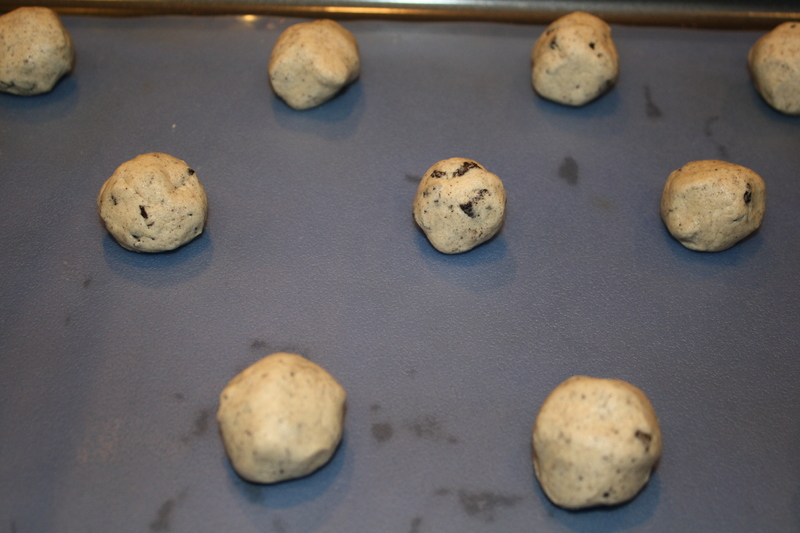 Then I used a teaspoon to pull out smallish chunks that were rolled into balls and placed on a cookie sheet lined with a silicone mat, which I find really keeps the cookies from burning on the bottom. The cookies baked at 35o for 12 minutes. They were a huge hit with the kids. 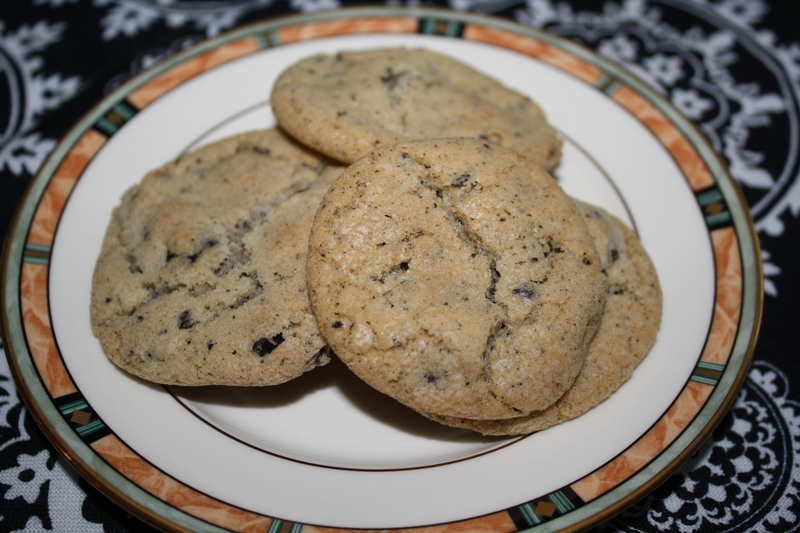 I actually doubled the recipe, thinking that two dozen would disappear rather quickly. And that hunch turned out to be correct. those look yummy! i can see why they went fast! The funny thing is that my older son comes in every day asking if I’ve had time to make any more of these. Guess I’d better get on that! Thanks! I made them Monday, and the last one was gone by Friday morning.